KUALA LUMPUR: Malaysia will continue to use international platforms to push for a speedier resolution to the Rohingya issue in Myanmar, said Deputy Foreign Minister Datuk Seri Reezal Merican Naina Merican (pic). "Malaysia has used international platforms like the Organisation of Islamic Cooperation (OIC) to raise the Rohingya issue as an effort to push Myanmar to take steps to stop the violence. "At the same time, the international community is needed to increase engagement with Myanmar to find a long-term solution to bring peace and stability to the affected states," he told Datuk Seri Dr Wan Azizah Wan Ismail (PKR - Permatang Pauh) in Parliament on Thursday. Dr Wan Azizah had asked on the impact of the humanitarian mission in February, the Government's stand on Myanmar in not allowing a United Nation's fact-finding mission team into the country, and whether Malaysia will cut ties with Myanmar. Reezal Merican said calls to cut ties with Myanmar was not right as it would only isolate the nation in Asean. "It will also further narrow the chances of Malaysia or Asean in helping them on the Rohingya issue. "Malaysia will continue constructive engagement with Myanmar, whether by two-way or multilateral discussions, to find the root causes of the issue and long-term solutions," he said. 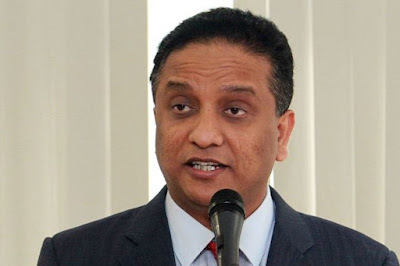 He said it was unfortunate that Myanmar had prevented the UN mission team from entering the country, as it was sending the wrong message to the international community about Myanmar's commitment in handling the issue. Malaysia's view, he said, was that investigations into the alleged claims of human rights violations and torture of Rohingya minorities by the Myanmar military should be conducted by an international mechanism, which could do so independently. "We still have our hopes on the Rakhine State Advisory Commission, which is still getting cooperation from Myanmar. "Their interim report issued in March had 29 recommendations, and developments show Myanmar is more responsive to these," he said, adding that the final report is expected to be ready at the end of this month. On the food flotilla mission, Reezal said it was Malaysia's diplomatic ties with Myanmar that allowed the mission to be completed without hindrance.